This is the Lamborghini’s SUV......!.......!! yes it is true ,the original lamborghini SUV .Can't get enough of the new Lambo SUV? Need something that signposts your utter contempt for fellow man? Want to drive in the tyre treads of Colonel Gadaffi, Pablo Escobar, Tina Turner, Hunter S. Thompson, Saddam Hussein's son Uday and Sylvester Stallone? You need an LM002. The Italian firm threw together a rear-engined Chrysler V8-powered off-roader, with a view to flogging it to the US military. Only it was rubbish. The Americans promptly destroyed all the test mules and poured money into Hummer's coffers instead. De-mobbing continued inside; its austere warzone-spec interior was lavished with all manor of Italianette frivolity. State-of-the-eighties luxe included leather seats, tinted electric windows, air conditioning and hoofing great big stereo mounted in the roof. And then they put on a set of colossal Pirelli Scoripon tyres - specially commissioned with custom run-flat treads, fitted in readiness for its launch in 1982. If you see any of the 301 LM002s in the wild, you should check the roof. If there’s an opening flap over the back seats it could be one of the 100 LM002s President Gaddafi ordered for the Libyan army. You won’t be able to spot Saddam’s son’s, though – the American military merrily blew it up in 2004 during a test exercise to simulate the effects of a car bomb. Yes. A "test exercise". This is BBC topgear news. After Porsches, Maseratis, Bentleys and Alfas its Lamborghini’s turn to take the wraps off its latest SUV. 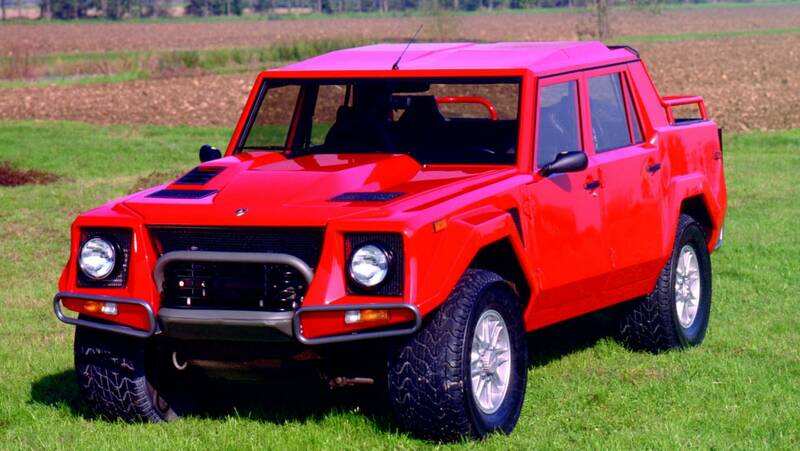 Now we know that Porsche gets all the credit for being the first one to take a plunge into the SUV business but sorry Porsche, Lamborghini did it first with the LM002 in 1986. 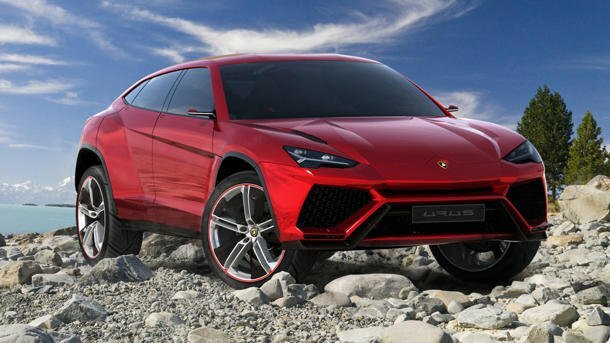 Now almost two and a half decades later, here Lamborghini is with another SUV, which is particle, and should let you have a good family time with the wife and kids. We can just imagine what the designers must have gone through to make this new SUV.